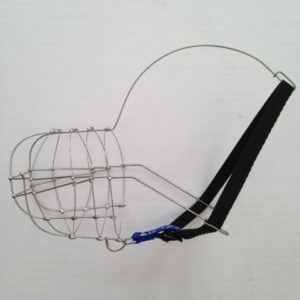 Firm plastic box head strap muzzle. 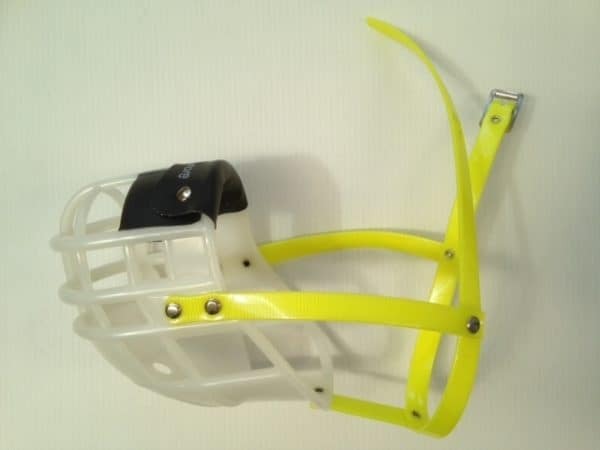 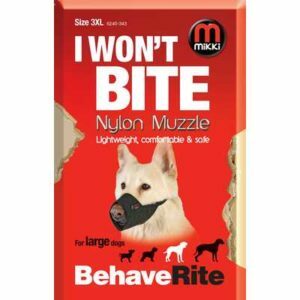 Ideal for ones who can slip standard muzzles, they would struggle to get these off. 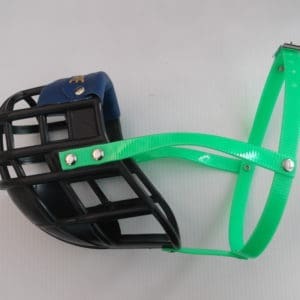 Room to pant and are able to drink water.